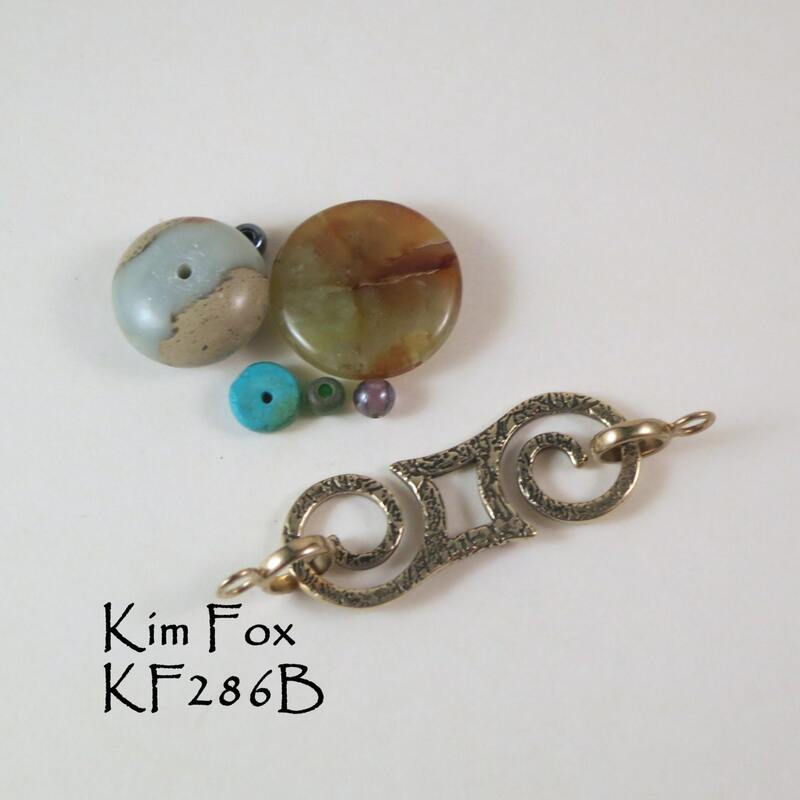 Reversible and removable clasp for single or multiple strands. 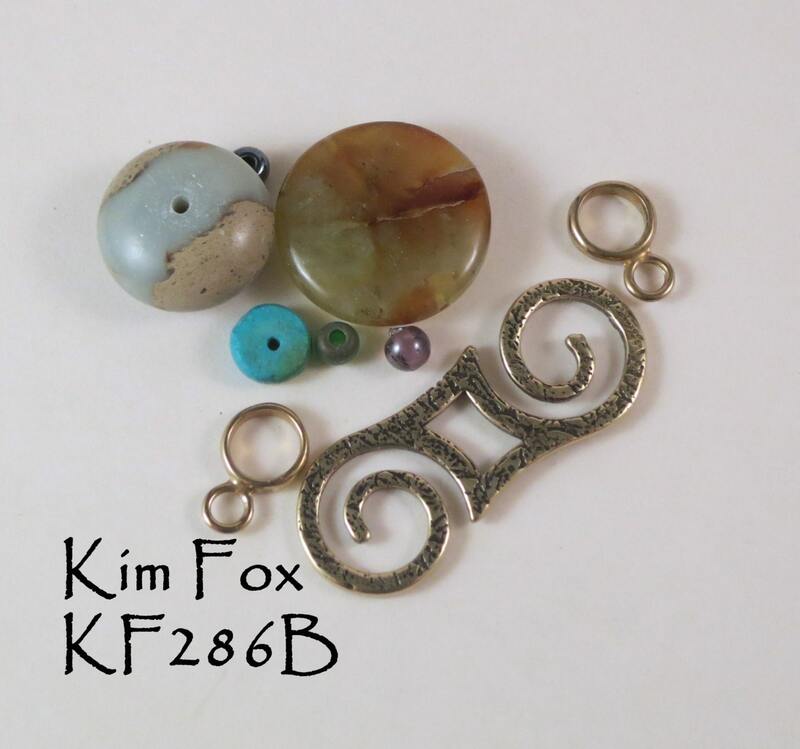 Perfect with strung beads, chain maille, kumihimo, bead weaving and crochet. 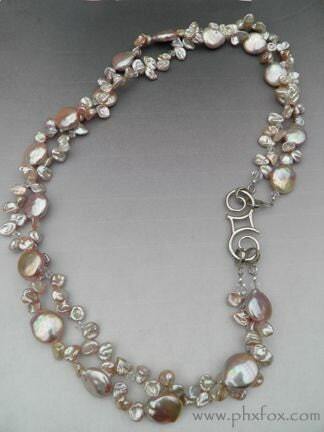 This clasp can be moved from piece to piece. The only thing needed are loops at the end of the strands that it connects to. It comes with two, you can get more from us or make your own. About 2 inches across. 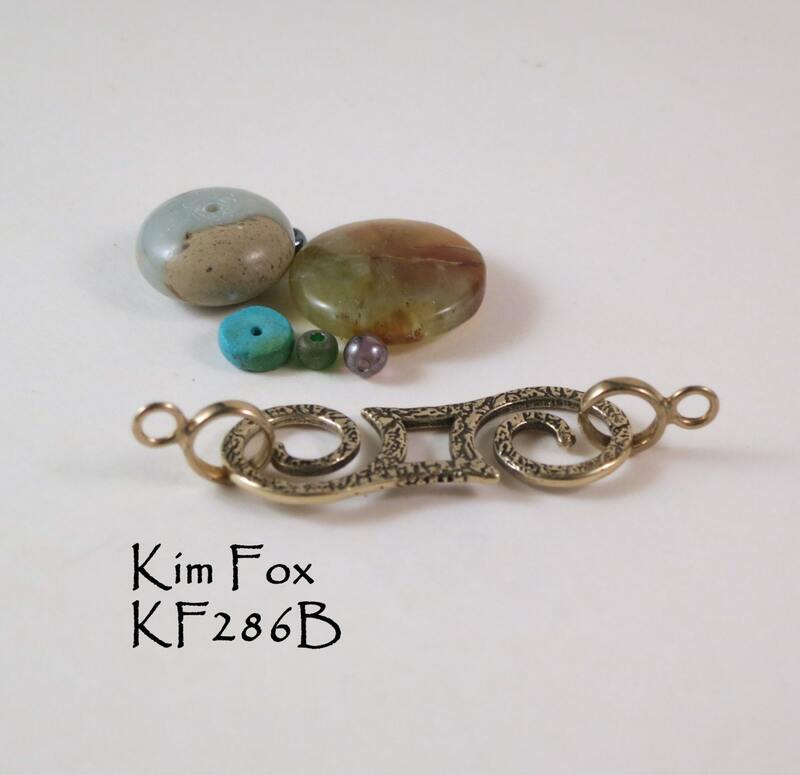 Convert a necklace by wrapping it multiple times around your wrist and add this clasp.